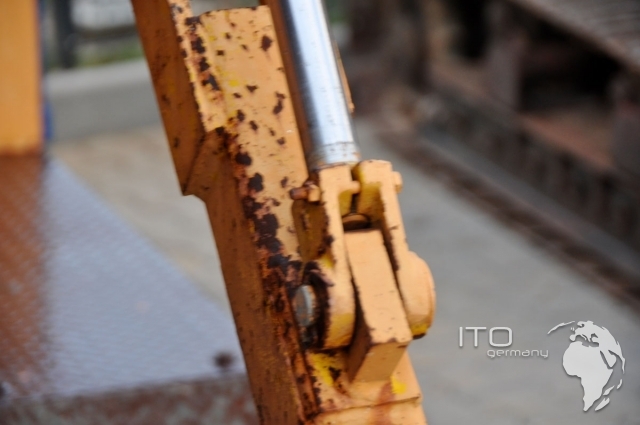 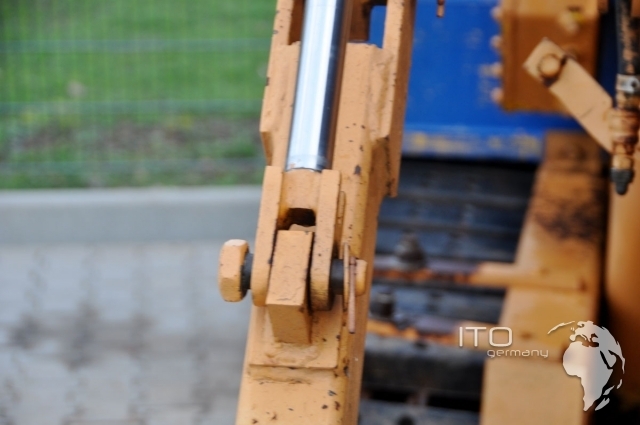 Vermmer used machinery Felsrad Schneiderad used. 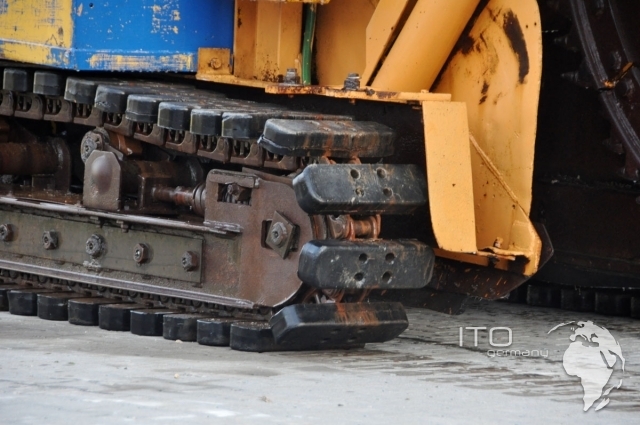 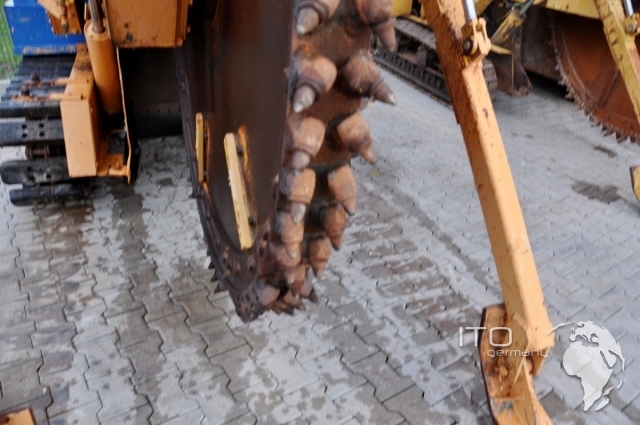 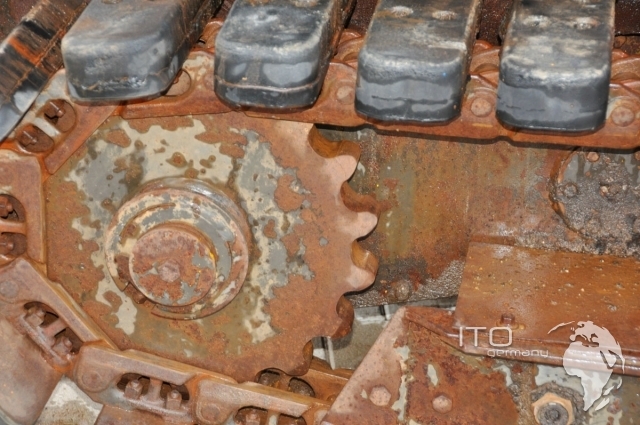 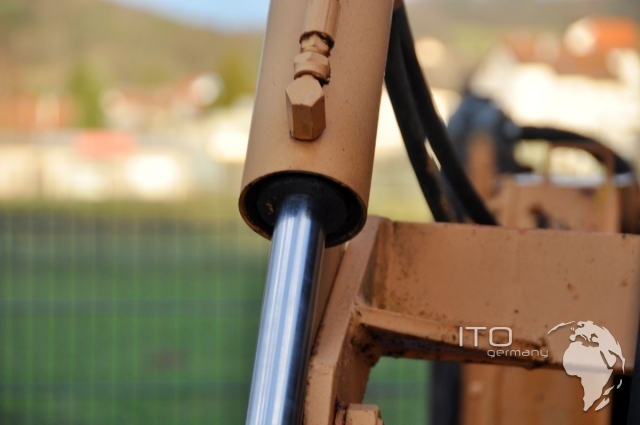 Vermeer T-600 Schneiderad Roadliner track ( Gummiketten ) technical data Schneiderad T600 used. 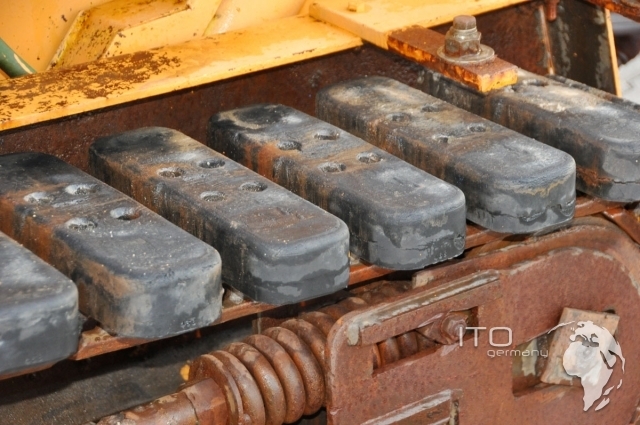 engine: GMC 453- diesel engine 4 cylinder performance 123 PS at 2600 U/min water-cooled tank capacity 114 L frame water tank mit 492 Liter Schneidrad: diameter appr. 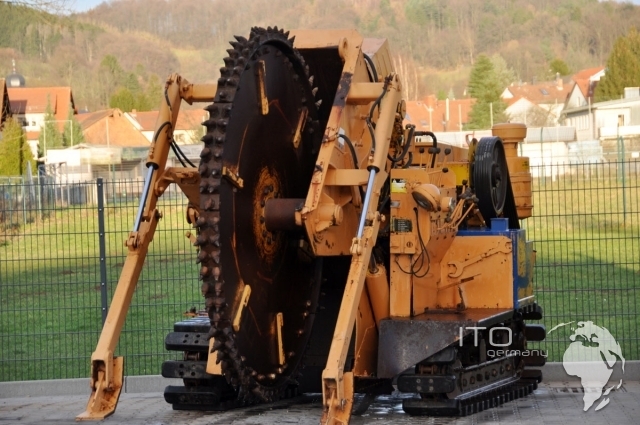 213 cm Stärke up to appr 25 cm Schnittbreiten: 9, 10, 13, 17, 23 and 25 cm Schnittiefe: wheel-speed: 1. gear 52 m/min 2. gear 104 m/min 3. gear 193 m/min 4. gear 326 m/min backward 45 m/min ANTRIEB: 4-gear reversible front milling job in at varying speeds of the undercarriage milling speed: hydrostatic of 0-9,4 m/min. 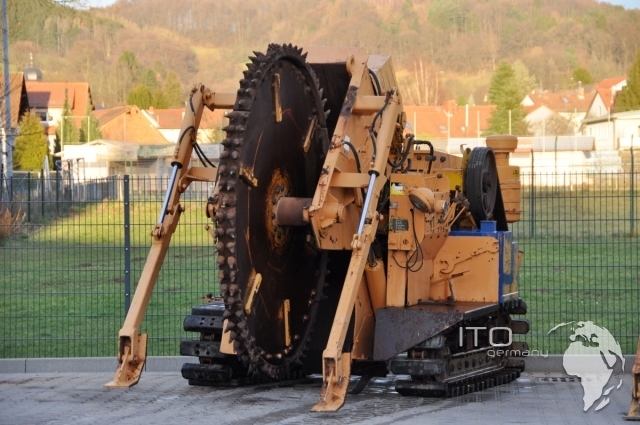 at varying speeds: 1. gear 16 m/min 2. gear 37 m/min 3. gear 69 m/min 4. gear 117 m/min backward 15,5 m/min ground pressure mit Standardkette 0,313, kg/cm³ Felsrad mit Roadliner Keten low-priced to sell . 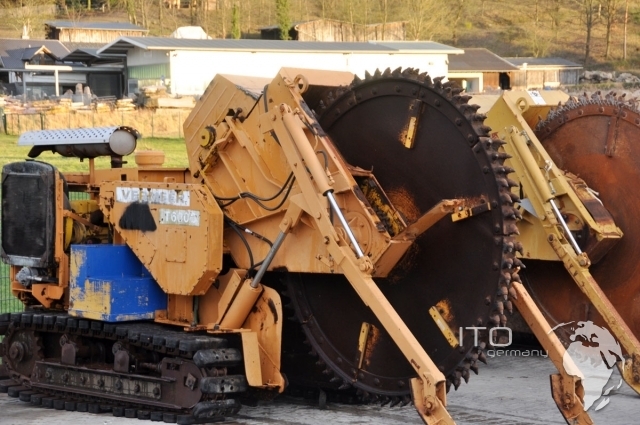 in the pictures können Sie good the T 600 mit dem Angebauten Schneiderad CR31 sehen. 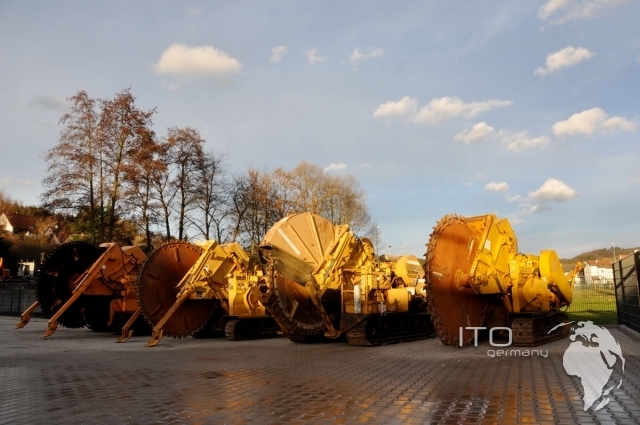 more Fotos Vermeer T 6000 find Sie ind the Bildergalerie of the Inserates. 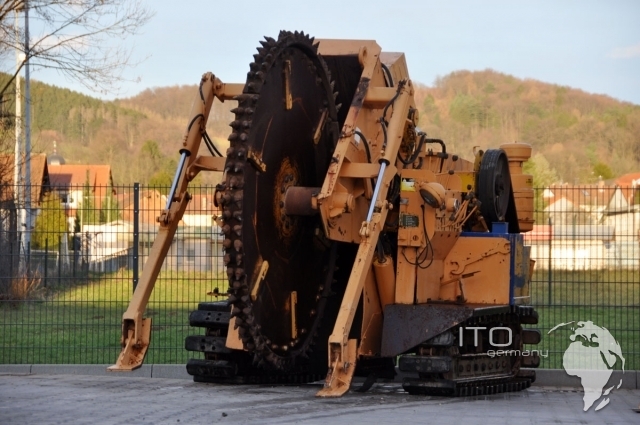 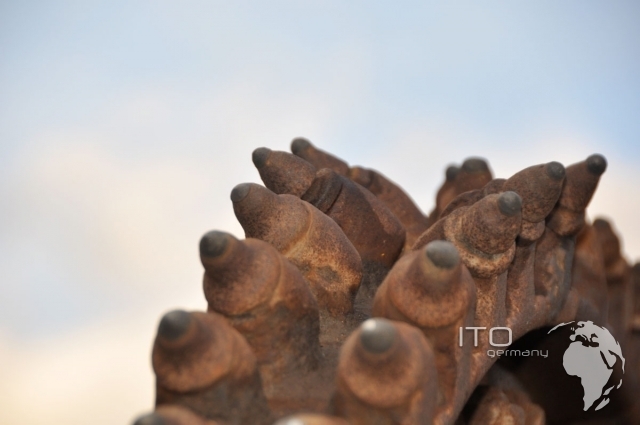 Images Vermeer T-600 rock saw gallery.